Until 2005, most guidelines for performing CPR recommended 15 compressions on the chest, followed by two breaths into the person’s mouth, followed by 15 compressions again. This sequence was then repeating until medical help arrived. In 2005, the American Heart Association (AHA) alongside many other CPR organizations, changed their recommendations to 30 compressions followed by two breaths. Recently, research by Professor Gordon A Ewy and his team, conducted at the University of Arizona, indicated that that compressions alone were just as effective as compressions with breaths, as long as the compressions were perfromed correctly and in a timely manner. Interestingly, the findings of this research have the potential to increase the number of people who use CPR to come to the aid of a stranger in the street, by removing one of the factors that people cite as a reason the did not perform CPR, mouth to mouth contact. They even released a video showing how compression-only CPR worked. The result of this public information campaign was a significant increase in the number of bystanders prepared to perform CPR, leading to an increase in survival rates from 18% to 34%, in just under a year. This increase in survival rates was clear proof that, not only did just as many people survive even without rescue breathing, but that currently applied compressions, done without interruption, could protect against damage to the brain. While the best technique for CPR is still a matter of debate, the American Heart Association recommends that, in the event of an unexpected cardiac arrest, untrained people should use what’s known as “Hands Only” CPR. It should be noted that these results only apply to adults. In the case of children under the age of 12 years old, rescue breathing is still recommended. Hands Only CPR relies on the chest compression being applied correctly in order to work. The 2010 AHA guidelines suggest a rate of at least a hundred compressions a minute. The most common advice to help you set the right pace it to time you compressions to the Bee Gees 1977 hit Stayin’ Alive. Further research from 2012 indicated that, when it comes to the ideal speed for survival, faster certainly wasn’t better. The research showed that there were decreasing returns, in terms of survival rates, once they had reached a speed of 125 compressions a minute, making the key to good chest compression consistency and persistence, rather than speed. 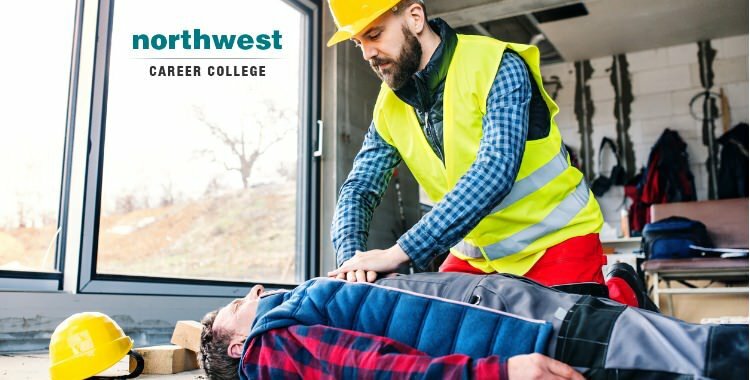 Here at Northwest Career College, we are committed to providing affordable, quality CPR Classes to the Las Vegas community. We pride ourselves on being an American Heart Association (AHA) testing center and we offer Las Vegas CPR classes designed to fit your personal needs and professional schedule. As part of our “student-focused” approach to education, we also offer our CPR classes free of charge to all of our students. Call us today on (702) 403-1592 to book your CPR class and become qualified to save a life in just 4 hours!